In the mood for some Charcoal Chicken? Order a scrumptious charcoal chicken or a fluffy falafel from an El Jannah restaurant near you. $5 Delivery*. No Minimum Spend. Get El Jannah delivered to your door! 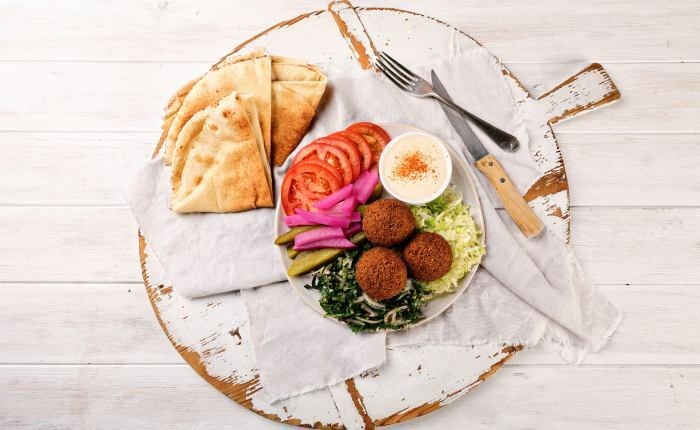 Since its founding two decades ago, this hugely popular chicken shop and Lebanese restaurant has developed a cult following in Western Sydney. El Jannah, which appropriately translates to "Paradise", is notorious for its crunchy chips, charcoal chicken, and delicious Lebanese dishes. Starting from humble beginnings back in 1998, the family-run chicken shop in Sydney's Granville has since expanded to 5 restaurants, all offering their signature mouthwatering Halal food. Trust us, if you wanna avoid annoying wait times (they really are that popular), Menulog is where it's at. Craving juicy, flavoursome charcoal chicken? What about a mouthwatering mushroom and beef burger, or a hearty chicken salad? Or maybe you're down for some traditional Lebanese fare, like chicken shawarma, fluffy falafels, or lamb skewers? What about a crunchy chicken schnitty, or an objectively delicious Lebanese roll, like a shawarma roll with marinated shredded beef, tahini, parsley, onion, tomato, green pickles? Or, one of El Jannah's famous soujouk rolls? Well, look no further than Menulog! With just a few clicks (or taps) we'll get your order fired up and on your doorstep (or ready to pick up) in no time.